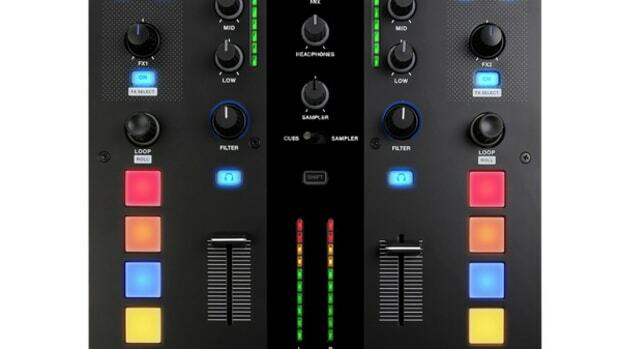 We were on hand at the NAMM 2017 show this year and we brought you an exclusive look at both their new Quattro Serato DJ Mixer and the new PRIMO Serato DJ controller. While we were there we also ran into a few famous DJ's that were cutting it up on the recently reviewed Mixars DUO Serato DJ mixer and the STA turntables that were setup in the booth. DJ Prolifix had a quick 2-minute session to try out the decks and that new Galileo fader that Mixars just posted to their youtube channel. Check out the quick performance and demo and our Mixars NAMM 2017 coverage videos. We were on hand at the NAMM 2017 show this year and we brought you an exclusive look at both their new Quattro Serato DJ Mixer and the new PRIMO Serato DJ controller. While we were there we also ran into a few famous DJ&apos;s that were cutting it up on the recently reviewed Mixars DUO Serato DJ mixer and the STA turntables that were setup in the booth. DJ Prolifix had a quick 2-minute session to try out the decks and that new Galileo fader that Mixars just posted to their youtube channel. Check out the quick performance and demo and our Mixars NAMM 2017 coverage videos below! We were on hand at the NAMM 2017 show this year and we brought you an exclusive look at both their new Quattro Serato DJ Mixer and the new PRIMO Serato DJ controller. While we were there we also ran into a few famous DJ's that were cutting it up on the recently reviewed Mixars DUO Serato DJ mixer and the STA turntables that were setup in the booth. DJ Traps had a quick routine on the decks that Mixars just posted to their youtube channel. Check out the cool video performance and demo and our Mixars NAMM 2017 coverage videos after the jump. We were on hand at the NAMM 2017 show this year and we brought you an exclusive look at both their new Quattro Serato DJ Mixer and the new PRIMO Serato DJ controller. While we were there we also ran into a few famous DJ's that were cutting it up on the recently reviewed Mixars DUO Serato DJ mixer and the STA turntables that were setup in the booth. DJ Eliza had a quick scratch session to try out the decks and that new Galileo fader that Mixars just posted to their youtube channel. We were on hand at the NAMM 2017 show this year and we brought you an exclusive look at both their new Quattro Serato DJ Mixer and the new PRIMO Serato DJ controller. While we were there we also ran into a few famous DJ's that were cutting it up on the recently reviewed Mixars DUO Serato DJ mixer and the STA turntables that were setup in the booth. DJ P-Trix had a whole show on the decks that Mixars just posted to their youtube channel. Check out the cool video performance and demo and our Mixars NAMM 2017 coverage after the jump. We were on hand at the NAMM 2017 show this year and we brought you an exclusive look at both their new Quattro Serato DJ Mixer and the new PRIMO Serato DJ controller. While we were there we also ran into a few famous DJ's that were cutting it up on the recently reviewed Mixars DUO Serato DJ mixer and the STA turntables that were setup in the booth. DJ Mr. Vibe had a really dope scratch session to try out the decks and that new Galileo fader that Mixars just posted to their youtube channel. We were on hand at the NAMM 2017 show this year and we brought you an exclusive look at both their new Quattro Serato DJ Mixer and the new PRIMO Serato DJ controller. While we were there we also ran into a few famous DJ's that were cutting it up on the recently reviewed Mixars DUO Serato DJ mixer and the STA turntables that were setup in the booth. Chris Karns & DJ Nos really both went in at the booth to test out the decks and that new Galileo crossfader that Mixars just posted to their youtube channel. Check out the cool video performance and demo and our Mixars NAMM 2017 coverage videos below! We were on hand at the NAMM 2017 show this year and we brought you an exclusive look at both their new Quattro Serato DJ Mixer and the new PRIMO Serato DJ controller. While we were there we also ran into a few famous DJ's that were cutting it up on the recently reviewed Mixars DUO Serato DJ mixer and the STA turntables that were setup in the booth. DJ FlipFlop & DJ Celsius both went in at the booth to test out the decks and that new Galileo fader that Mixars just posted to their youtube channel. 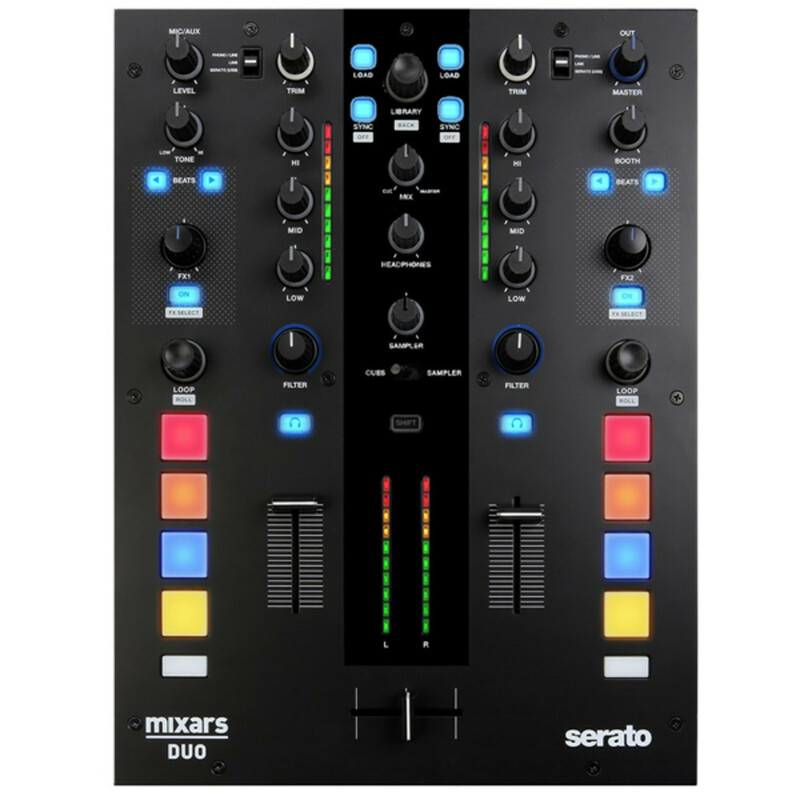 Last month we reviewed the Mixars DUO Serato DJ mixer and found that it was a great two-channel mixer for DJ's who want MIDI controls and a built in soundcard for Serato DJ without breaking the bank. 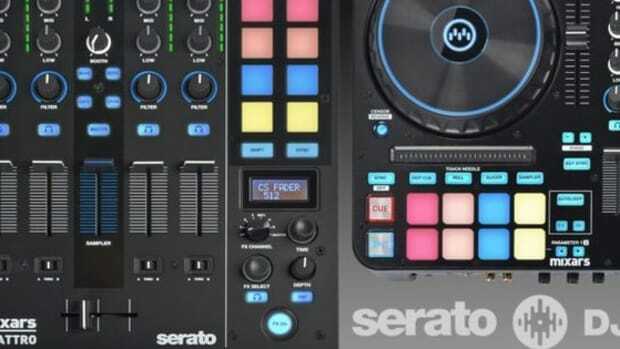 This new cost-effective solution has good on-board effects controls for Serato DJ as well. 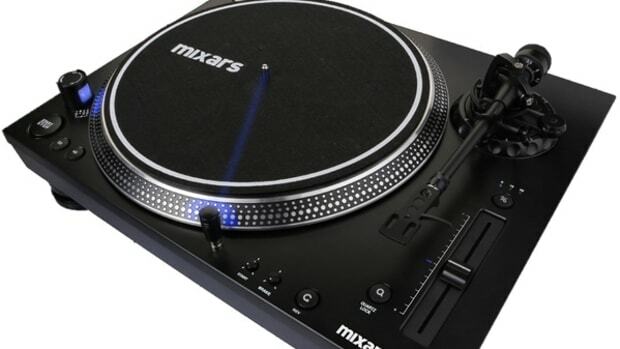 We will explore the effects controls on the Mixars DUO mixer in our newest video after the jump. We were on hand at the NAMM 2017 show this year and we brought you an exclusive look at both their new Quattro Serato DJ Mixer and the new PRIMO Serato DJ controller. While we were there we also ran into a few famous DJ's that were performing on the recently reviewed Mixars DUO Serato DJ mixer and the STA turntables that were setup in the booth. DJ Eliza May and Miss DJ Bliss both went to work on the Mixars gear showing the men how some women can get down as well.